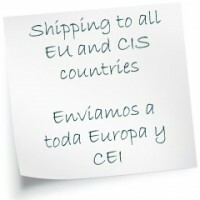 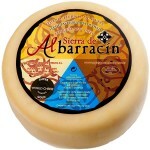 This cheese is made with 100% pure sheep milk, from the own livestock of dairy sheep at Sierra de Albarracin. 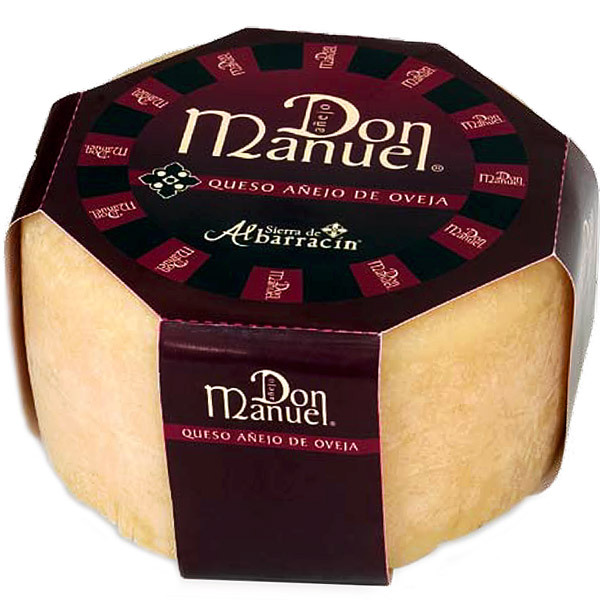 The cheese is made from a firm pressed paste, obtained by predominantly enzymatic coagulation and aged with bacterial flora from the lactic acid. 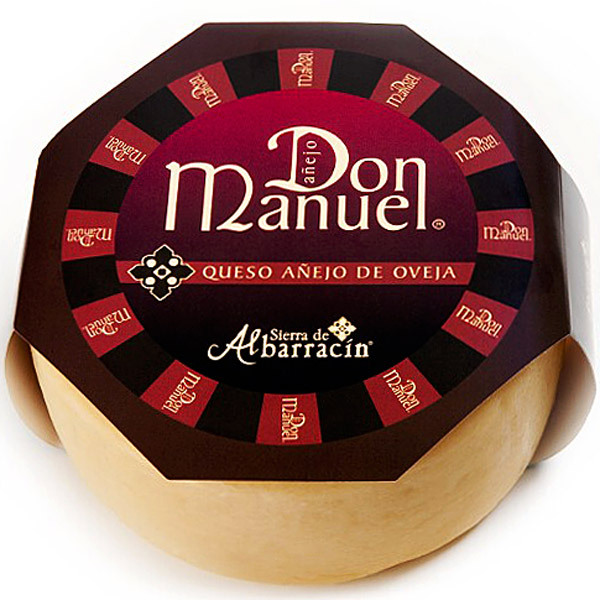 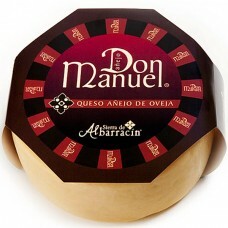 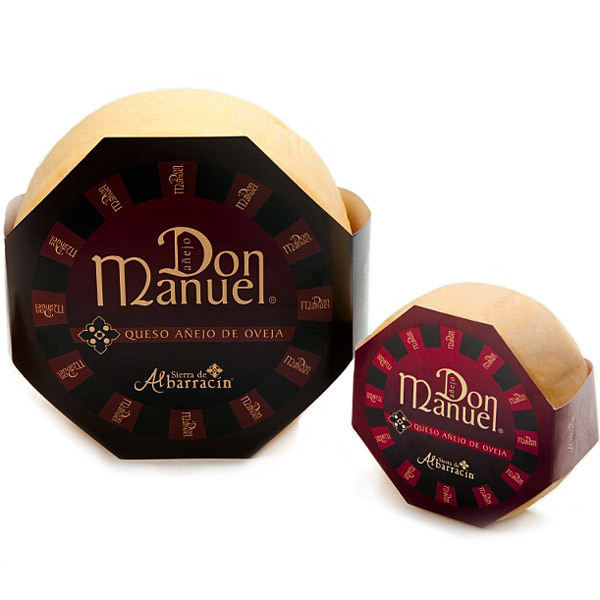 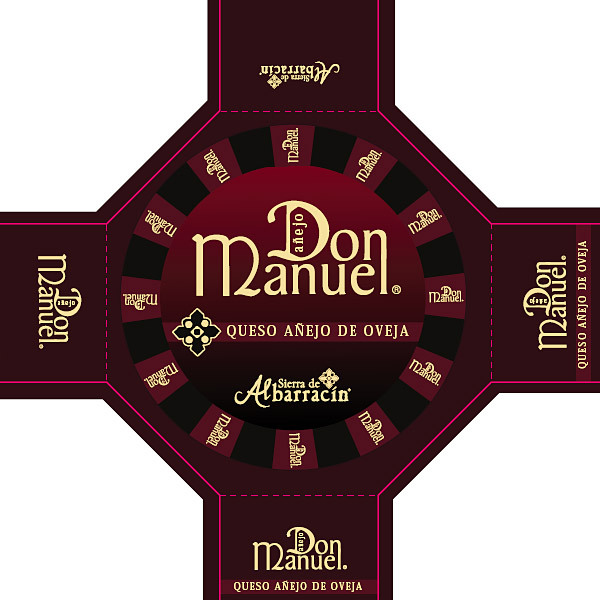 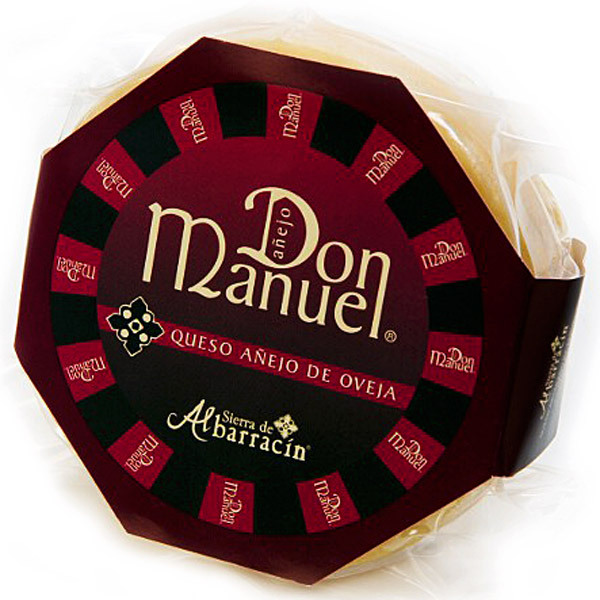 When the aging is extended over 9 months for the 700 g cheeses, and over 12 months for the 2.7 kg cheeses, we obtain the pure sheep cheese ‘Don Manuel’, in honour of the founder of Sierra de Albarracin, Don Manuel Asensio. 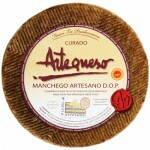 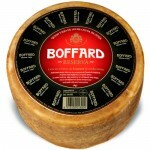 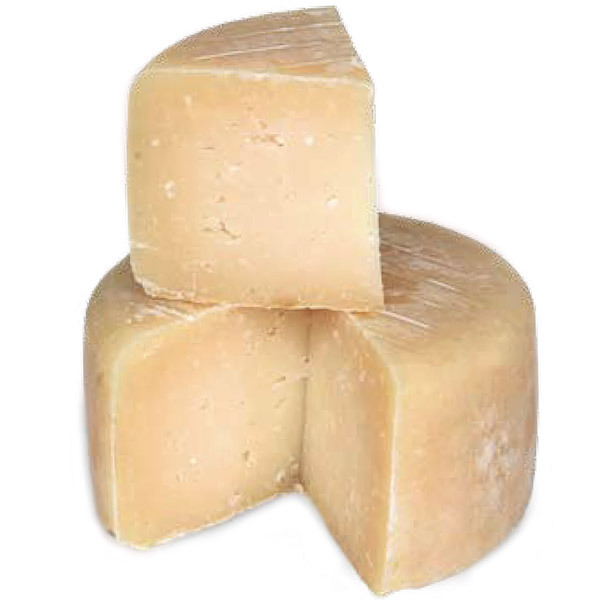 A cheese with an intense aroma, consistent paste and straw to ochre colour, as well as a developed and intense flavour, which leave a very pleasant aftertaste in the mouth. 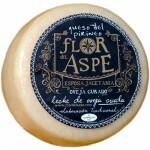 The rind has a somewhat darker colour.